Sometimes, when you’re having a bad day, a good singing session can make everything about 50 X better. Trying to grow molars makes you sad. Trying to grow and regrow wisdom teeth makes you miserable. When Jack and I are home alone and both teething, a little kitchen karaoke is just the ticket. 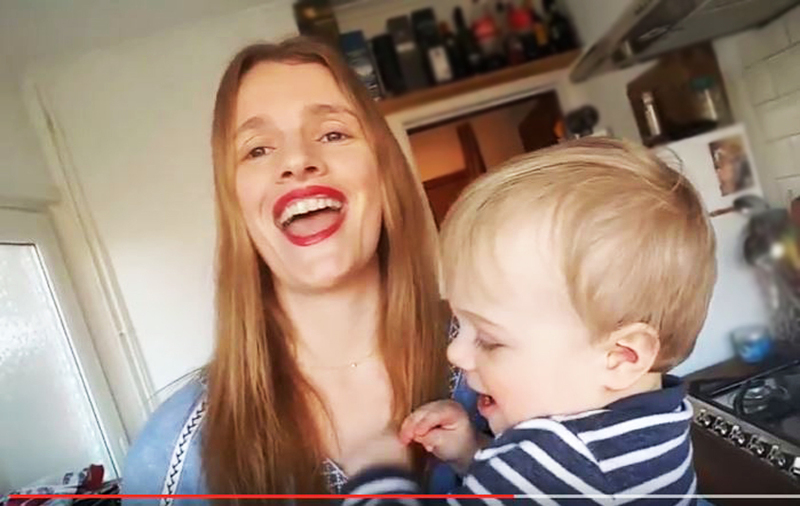 Singing extremely loudly while holding a toddler is my favourite activity. Watch video below. We’ve been doing this since Jack was about 5 weeks old, screaming and strapped to my chest in his sling and me plugged into headphones at full volume to maintain my sanity. But we’ve* started recording our sessions, so here is our very first video – and possibly the last – of us singing / dancing around to Shout Out To My Ex. (Can I just say at this point that I ❤ this song. Have had the pleasure of interviewing the girls many a time during my Glamour days and they were always adorable (#celebbrag). *When I saw we, I of course mean I. He has really got no say in the matter at this point, but as soon as he is, he’ll probably disown me and force me to delete every one of these blog posts and videos. And I will. If this video in any way cheers you up, please do share or let me know in the comments. And tell me what you do to fend off the teething blues, too.